Commercial Office Furniture – Project Manager – D.C. Position Purpose: Partners with sales team to oversee contract furniture, project installations, and resolve any issues relating to product or installation workmanship. Communicate regularly with team members and the client in a professional and timely manner. 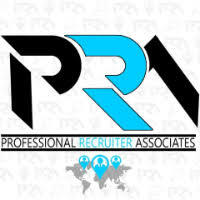 For immediate consideration, please forward a copy of your current resume to info@profrecruiters.com referencing job #1562 or a link to this job.